Kiefer - Kickinit Alone. Vinyl LP. Bleep. Los Angeles producer and keyboardist Kiefer Shackelford has been slowly but surely carving out a career locally and online for years. 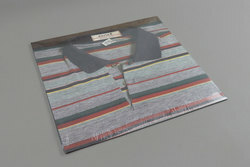 Now Leaving Records have taken it on themselves to release his accomplished debut album, Kickinit Alone, an ultra-cosy mix of record player static, nostalgic jazz bar piano and low-key but purposeful beats.